Handy Law | Attorneys | Jordan Handy, Esq. Jordan Handy is the DUI Guy. C. Jordan Handy is a litigation attorney practicing in all areas of criminal law, including: DUI, criminal defense, personal injury and landlord-tenant cases. He aggressively fights for the rights of his clients, carefully analyzing all pieces of evidence in every case. Before entering law school, Jordan received his Bachelor of Science in Finance from Franklin Pierce University. While attending FPU, he was president of the Law Club and an active member of the Student Government. Jordan earned his law degree from Vermont Law School in May, 2011. While attending Vermont Law, Jordan was a member of the Student Bar Association where he advocated for students rights. Additionally, Jordan won the Constitutional Law Brief competition in his first year of law school, and won the Appellate Brief competition during his second year. 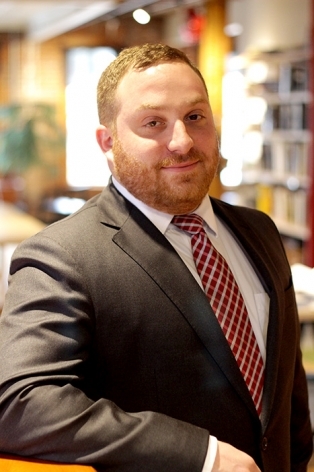 Prior to opening a solo practice as the Law Office of C. Jordan Handy, Esq., Jordan worked for a private law firm in Burlington handling criminal and personal injury cases. His cases ranged from first-degree murder charges to drunk driving and injuries resulting from car accidents. Jordan has also Law Clerked for the Chittenden County State’s Attorneys Office.